Get acquainted with the ancient Poqoman Kingdom at Mixco Viejo, a fortified Maya city surrounded by crags. 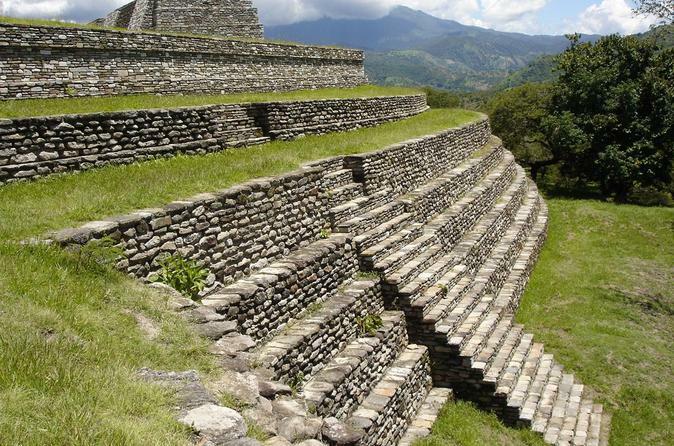 Visit the archaeological site, which stands outside Guatemala City, and get an up-close look at the ruins. You'll learn from your guide how the Kaqchikele people helped Spanish conquistadors conquer the site in the 15th century. Meet your guide upon hotel pickup in the morning, and relax during a scenic countryside drive to Mixco Viejo, an archaeological site located about 80 miles (129 km) from Guatemala City. On arrival, take a guided tour of the extensive Maya ruins once belonging to the Poqomam Kingdom. Discover how the former inhabitants were conquered by the Spaniards and neighboring enemies. After a look around, you'll receive a boxed lunch and bottled water. At the end of your tour you will transferred back to your hotel.